Kabul, Afghanistan: American and Taliban officials have agreed in principle to the framework of a peace deal in which the insurgents guarantee to prevent Afghan territory from being used by terrorists, and that could lead to a full pullout of US troops in return for a cease-fire and Taliban talks with the Afghan government, the chief US negotiator said on Monday. 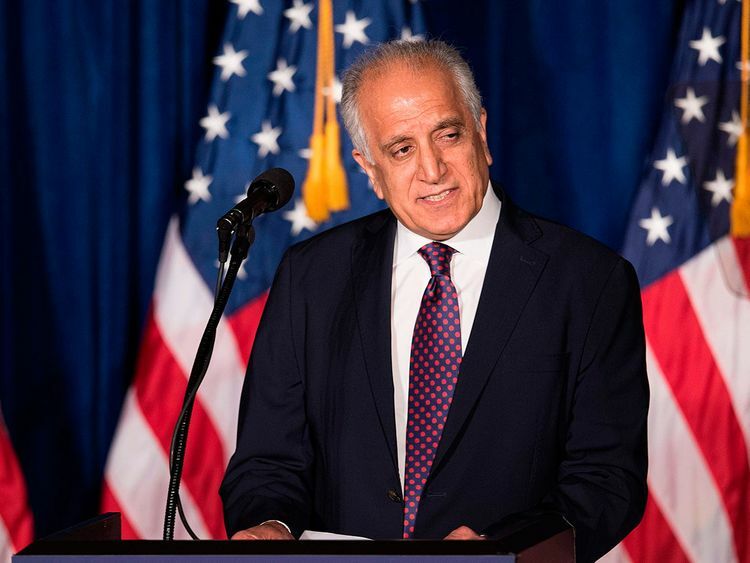 "We have a draft of the framework that has to be fleshed out before it becomes an agreement," the American envoy, Zalmay Khalilzad, said in an interview in Kabul. "The Taliban have committed, to our satisfaction, to do what is necessary that would prevent Afghanistan from ever becoming a platform for international terrorist groups or individuals." He added: "We felt enough confidence that we said we need to get this fleshed out, and details need to be worked out." After nine years of halting efforts to reach a peace deal with the Taliban, the draft framework, though preliminary, is the biggest tangible step toward ending a two-decade war that has cost tens of thousands of lives and profoundly changed US foreign policy. A senior American official, speaking on condition of anonymity to discuss negotiations that were still continuing, said that the Taliban delegation had asked for time to confer with their leadership about the US insistence that the insurgents talk with the Afghan government and agree to a cease-fire as part of any finalised deal. The official said they had made it clear to the Taliban that all the issues discussed were "interconnected" as part of a "package deal" that he likened to a Russian nesting doll. The official's account was supported by details that have been leaked by some Taliban and Western officials in recent days. Although other Taliban sources said that more concrete details of a US troop withdrawal had already been agreed upon, American officials said Monday that those details had not yet been hashed out. Khalilzad returned to Afghanistan on Sunday to brief the government in Kabul after conducting six days of talks with the Taliban delegation in Doha, Qatar. President Ashraf Ghani expressed concern that a peace deal would be rushed. "We want peace quickly, we want it soon, but we want it with prudence," Ghani said. "Prudence is important so we do not repeat past mistakes." The senior American officials said new high-level talks would start in late February, but suggested that teams from both sides could start on technical details before then.